Your earnings from JimPartners are already transferred! Dear Affiliates! We have two great news for you! First, we must say that your income for the period from January 16 to January 31 was transferred to the accounts, specified in your profiles. Check your wallets to make sure that the transaction was successful. Also, we would like to introduce a new tournament in RedBox Casino to you — “Bavarian fairy tale”. It will help you to increase conversion due to attraction of the new audience. This competition prize fund is 800 USD/750 EUR/3 000 PLN/52 000 RUB, so it should be interesting to your players. For just a few days, the participants of the tournament will be able to contest with each other for such rewards as ASUS ZenFone smartphone, AC-Robin ZED5 action camera, New Nintendo game console, and generous no-deposit bonuses. Hurry up to inform your audience about the new activity on the RedBox brand! We would also like to remind you that the world famous Ice Totally Gaming conference has already began today in London, where you can meet the representatives of JimPartners partnership program. The event will be held from February 5 to February 7. You can address our affiliate-managers for more information about the new tournament and details of meeting during the conference. We will provide you with all the required promotional materials to help you advertise our brands. New lottery on RedBox! Prize fund is 1500 USD! Dear Affiliates! We want to share some great news with you: a new raffle “Heart of the Ocean” has started in RedBox Casino that can increase your income due to interest of a player to this competition. Its prize fund is 101 000 RUB (1 250 EUR, 1 500 USD, 5900 PLN), so your audience should be interested in this activity and probably would like to participate in it. New raffle on RedBox will let players to obtain such tempting rewards as a Honor 9 Lite smartphone, Incase Compass backpack, Black Bottle whiskey, wireless speaker ZDK, and a mountain of no-deposit bonuses. Hurry to tell your players about the lottery because it is held for a limited time only! We would like to remind you that representatives of our partnership program will wait to meet you at the Ice Totally Gaming conference that is to be held from February 5 to February 7 in London. You can ask affiliate-managers for detailed information about the new activity and time and place of the meeting at the conference. In addition, we will gladly present you all the necessary free promotional materials for advertising our brands. We invite you to meet JimPartners at Ice Totally Gaming in London! Dear Affiliates! From February 5 to February 7, there will be held one of the biggest events for experts in traffic market — Ice Totally Gaming (Ice London) in London. The best speakers will share their knowledge and experience with the visitors, while the latter will have an opportunity to socialize with each other. JimPartners’ representatives will be there as well. We invite you to attend Ice Totally Gaming in London to meet our team members. Personal meeting and live communication will be a great chance to get to know each other and consolidate partnership. You will be able to discuss plans on further development of our collaboration during the conference and at the evening parties in informal atmosphere as well. For more information about the time and place of the meeting at Ice London 2019 contact your affiliate-manager. Dear Affiliates! Your income for the period from January 1 to January 15 has been successfully transferred to your accounts. Check your wallets to make sure that the money is already there. We would like to remind you that we launched a new brand — Slottica Casino that will help you to get more traffic from European countries and Turkey and increase your earnings. A new brand will regularly start tournaments and raffles that should be interesting for players with different interests and preferences. Winners of these activities will get cool rewards. Now, a “Super Week” lottery with a prize fund of 8 000 EUR (9 000 USD, 620 000 RUB, 33 000 PLN, 50 000 TRY) is held in Slottica Casino. Every visitor can become a participant, and the best players will get such presents as iPhone XS, iPod Touch, Xiaomi smart watch, and no-deposit bonuses. Tell your clients about this raffle to attract them to the new casino and increase your profit due to boost in conversion. All the required promotional materials on Slottica brand already wait for you with affiliate-managers of our partnership program. They will also gladly connect no-deposit bonuses to your unique tracking links and answer all your questions regarding Slottica. Dear Affifiates! We strive constantly to improve the conditions of our cooperation, so that you could successfully develop your projects and get more income. That’s why we launched a new brand — Slottica Casino that differs slightly from RedBox and Diamond Casino. 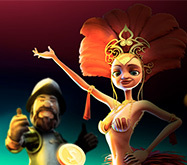 Slottica Casino is adapted to gamblers from Turkey and Europe. At the moment, its website is translated to Turkish, English, and Polish. Among other unique characteristics of this brand, we should also mark out its multicurrency. Players can make deposits in dollars, euros, polish zlotys, and turkish liras. Local Turkish and Polish banks also work. This club has a license, and all its games are also licensed, so you can be 100% sure about the quality of entertainments, players’ safety, and stability of the website’s performance. Not only popular video slots, but also various table games with live dealers and interesting activities wait for visitors. We’re already preparing the necessary promotional materials for you, including banners, reviews, landings, and branding that should help you attract attention of your players to Slottica Casino and increase your conversion and profit faster. A manager can also connect no-deposit bonuses to your individual tracking links. For more information about the new brand, regulations of working with it, and promotional materials contact the affiliate-managers of our partnership program. Dear affiliates! JimPartners team strives to make our collaboration pleasurable and profitable. For this reason, we constantly launch new activities on our brands that attract more players and help you to increase conversion and income. Now, RedBox Casino helds an amusing tournament “Royal Christmas” with a 80 000 RUB (1 200 EUR, 1 300 USD, 5 000 PLN) prize fund that should be interesting for your players. A new competition in RedBox Casino will give your clients an opportunity to win unbelievable prizes that include Apple Watch, Auchentoshan 21 Years Old whiskey, Zippo lighter, and generous no-deposit bonuses. The raffle ends on January 13, so hurry up to tell your audience about this activity. Gamblers, who will take the prize places in this tournament, will get points for participation in the final raffle that allow to claim for additional presents. The final raffle will be held on January 14. You can get all the necessary promotional materials and information on the updates on JimPartners’ brands from affiliate-managers of a partnership program. Dear Affiliates! We wish you a merry Christmas and a happy New Year! Celebrate these holidays in a festive atmosphere, surrounded by your friends and close ones. We are sincerely happy working with you, so we put all our efforts to become better and give you more opportunities to increase your earnings. We hope that in 2019, your traffic channels will grow, resulting in much more income for you. In 2019, JimPartners plans to develop and improve even more! We, the JimPartners team, promise to create the most comfortable and mutually beneficial conditions of cooperation, helping you to develop your projects and attract more clients. Working with you is the best present for us, so we try to make our partnership not only profitable, but also joyful for both of us. Thank you for staying with us and believing that we can achieve more together! Your payments for the second half of December will be delivered in accordance with the standard schedule — until January 5. If you have any questions or need any promotional materials, feel free to address our affiliate-managers. Dear webmasters! We are pleased to announce that your income for the period from December 1 till December 15 was successfully transferred to your accounts. Check your cards and e-wallets to make sure that the money is already there! In anticipation of the long-awaited winter holidays, RedBox launches the “Lunar New Year” lottery and the “Hot Christmas” tournament. The prize funds of these activities are 101 000 RUB (1 300 EUR, 1 500 USD, 5900 PLN) and 80 000 RUB (1 100 EUR, 1 200 USD, 4 700 PLN) accordingly. Tell your players about this to boost their enthusiasm and increase conversion on account of attracting more visitors! The new lottery on RedBox will open an opportunity to gain wonderful New Year presents to your audience. There are not only generous no-deposit bonuses among the rewards for the winners of this raffle, but also tempting gadgets from the best world-famous brands, useful accessories for traveling, and the main prize — a trip to Thailand! The final raffle will be held on December 24, so hurry up to inform your players about this activity. The more visitors you attract to the website, the more conversion and, therefore, income you get in the result. You can obtain all the necessary promotional materials and additional information about the updates on JimPartners’ brands from the affiliate-managers of the partnership programme. Dear webmasters! We, in JimPartners team, try to do everything to let you earn more money in our affiliate programme. That is why we launched a new brand — Diamond Online Casino! Diamond Online Casino differs significantly from the RedBox Casino brand. It has other thematic content and geographic orientation, so this casino should be interesting to completely different audience. Its website is translated to Afrikaans and English. For now, this gambling platform works only with USD, but we plan to include South African rand into the list of currencies very soon. Diamond Online Casino is a licensed casino with licensed games. Players will find top video slots from the best world providers, many attractive bonuses, table card games, and weekly tournaments and lotteries on this platform. We’re preparing reviews, banners, landings, and branding for you, so that you could start advertising this new brand to your audience as soon as possible. Please, feel free to ask JimPartners’ affiliate-managers for free promotional materials. We will gladly answer all your questions regarding new brand and regulations of work with it. New tournament on RedBox with a 1 500 $ prize fund! Don’t miss it! Dear webmasters! Currently, there is another tempting “Star night” tournament is held in the RedBox casino. It will transfer your players into the world of fairies and unbelievable presents! “Star night” became one of the key paintings of Vincent Van Gogh and excites the minds of mystery and art lovers for more than a century already. This work became the major topic of the “Star night” tournament with a prize fund of 101 000 RUB (1 300 EUR, 1 500 USD, 5 900 PLN) that is held on RedBox. Clients of this casino have time to fight for awesome presents and mountains of no-deposit bonuses until November 29. The month, dedicated to world famous pieces of art, has almost ended in the RedBox casino. It means that soon, there will be an additional raffle of 50 presents held among the most active players! Ask the affiliate-managers of the partnership programme for free promotional materials. Place them on your website and in social networks. Make your players interested in the tournament. 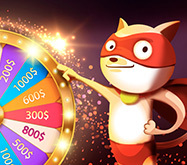 Increase the amount of deposits and duration of players’ staying in the casino. As you can see, everything is super-easy! All that is left for you to do is to complete the steps of this plan and turn to JimPartners’ affiliate manager in the first place.